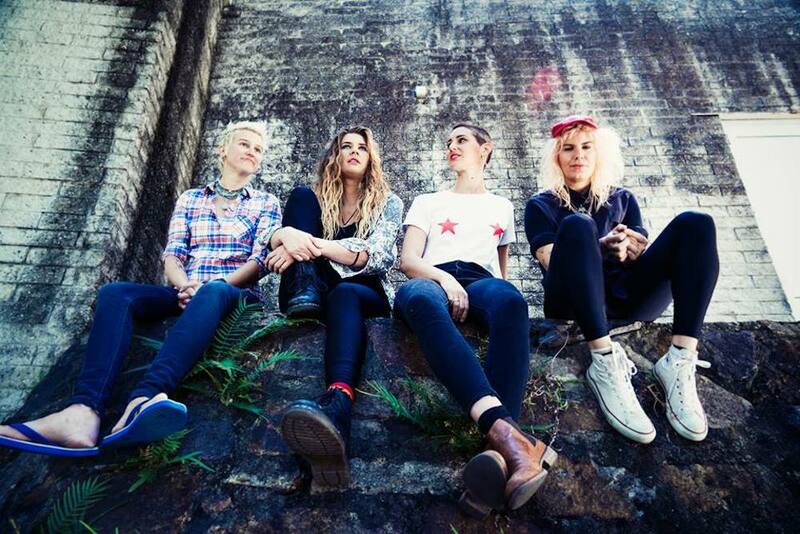 The Tommyhawks are part of a growing number of all-girl groups appearing throughout Australia, however, this isn’t your average group. With influences ranging from folk to punk to rock, The Tommyhawks make for a very interesting listen. 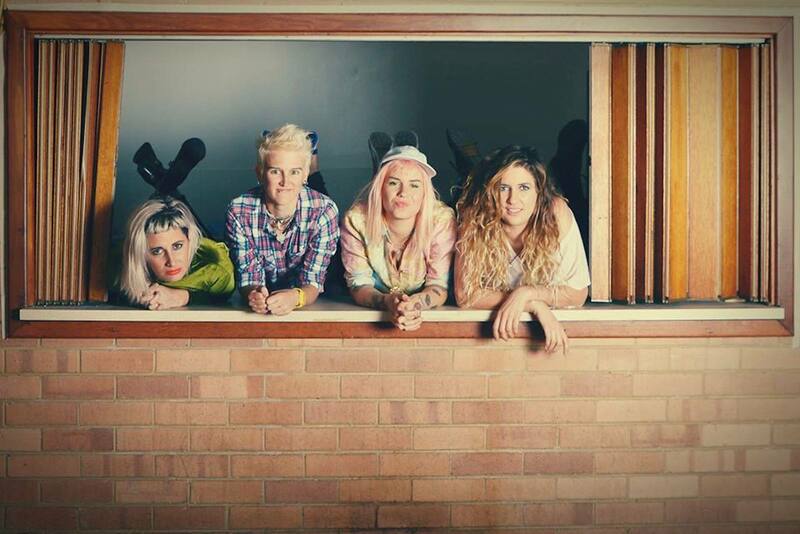 Known for some of their less conventional instruments used on stage including the banjo and the mandolin, we chatted to lead singer Addison Axe to find out why The Tommyhawks should definitely be on all Perth gig-goers ‘to see’ lists. It’s always interesting to meet an all-girl band, there aren’t too many of them in Perth. Tell us how you all met and what was the spark for you to form a band? Ness (bass) and I were asked to write and perform some songs as part of a show at Perth Fringeworld Festival a few years ago. After that we kept going, and started looking for an outlet for those songs. Once we started performing regularly it became clear that we needed to expand, and that’s when Thea (sax) and Jess (drums) came on board, and The Tommyhawks was born. I think as the number of women who play rock n roll music continues to grow, girl bands will become more common, and eventually we won’t have to be called girl-bands (any more than we’d call Nirvana a ‘boy band’). We will just be a band. You have some interesting instruments in your setup, with the saxophone, mandolin and banjo being the main ones. Do you include these instruments in your music to capture a particular sound, or did you deliberately experiment with different instruments to set yourselves aside from the pack and stand out a little? Thea (sax) first came to jam with us, because we were looking for a horn section on one of the songs we’d written, but everything she did was so magical that we scrapped that idea and asked her to join the band full time, it was definitely not the plan! As for the banjo and mandolin, I grew up on folk music and folk festivals and just adore those instruments and the texture they create, so it just felt natural to incorporate them into the sound. You sound a little folky, like Mumford and Sons in some songs, but you venture into the punk regions quite a bit too. With so many instruments and unique things going on in your music, it would be interesting to know who inspires you all most? I’d say my main influences as a songwriter are Ani Difranco, Neil Young and PJ Harvey; all of whom can be partial to some folky banjo, and are capable of getting really heavy and dark, so I guess that combination has always felt pretty natural. Ness, Jess and Thea all have very different influences, and come from really different musical backgrounds, which helps us not to sound exactly like anyone else. You’ve just returned from a tour that took you to Brisbane, Melbourne and Sydney. How did it go and what was your favourite gig of the tour? It was all fun, but Melbourne was the best… awesome people, awesome vibes! Do you enjoy touring or do you prefer playing the familiar surrounds of Perth? Perth shows are definitely the best in terms of having a ‘home crowd’ but nothing is as fun as being on tour. Can you tell us a little about your latest EP? What should we expect, anymore new instruments in the act? The EP is very much in the same world as our previous work, same lineup, same producer etc but we’ve come a long way as a band in the last few years and I definitely think this is our best yet. Do you remember your first Perth gig? Where was it and how did it go? I think it was at Xwray Cafe in Freo, which used to be one of my favourite hangouts before it sadly closed. 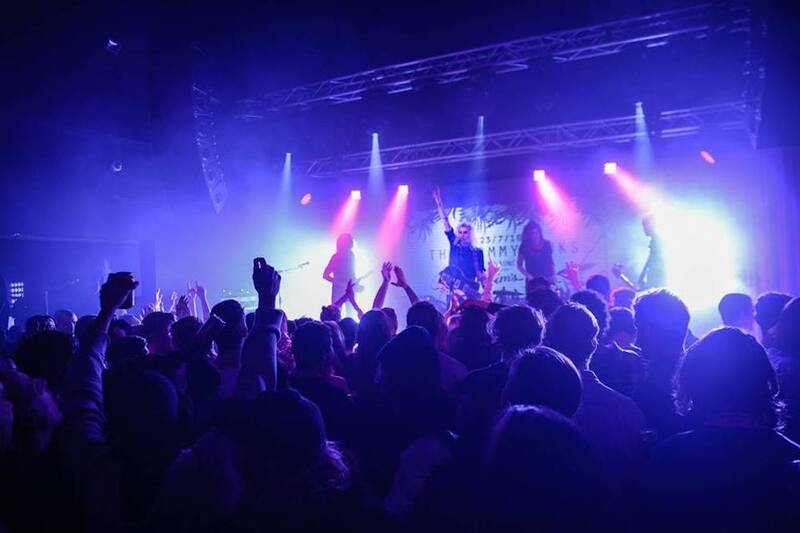 What are your favourite places in Perth to hangout as a band (if you’re not playing gigs or rehearsing)? The Local Hotel in South Freo. You’ve already played a good number of festivals in your relatively short time together. What’s in the plans next? We’d obviously love to play any big festivals we get invited to, and we’re really lucky that our sound goes down well at folk/blues and cool independent boutique festivals, but the super mainstream festivals tend to book super mainstream bands so unless we suddenly have a radio hit, I think it’s probably not that likely that we’ll be on the invite list anytime soon! Find out more information about The Tommyhawks on their website.